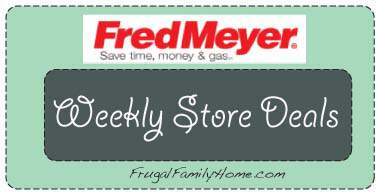 The ad this week for Fred Meyer is a 2 day ad. The food sale items are almost the same as last week and I have included them here. There are other sale items in the other departments and I listed them below along with some bonus coupons that are good today and tomorrow. There is also a couple of doorbuster coupons for tomorrow too.